SPAIN’S top awards ceremony for graphic designers is going global. 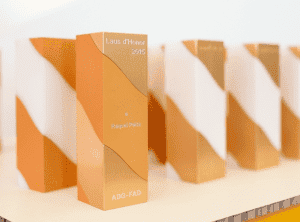 In its 45th year, the Laus Awards are extending beyond Spain’s borders for the first time in their history. Run by the Association for Graphic Designers and Art Directors, the event has championed emerging Spanish designers for decades. Top international designers Milton Glaser, Bob Gill and Paula Scher will be among those at the ceremony.